Today we went to visit the elderly home ‘Murou en’! The purpose was to interact with the elderly residents, overcome language barriers, and bring some variety into their day. I really enjoyed spending time with them, especially since I had never interacted with elderly Japanese people before. It was a little hard to converse to begin with, but it got a bit easier once we started collaborating on the paper collage we were making. It was a beautiful image of Mount Fuji. I’m really glad that we did this activity! Later, after visiting the retirement home we carried on to visit the Murou temple, where we were guided through the lower part. The guide was very knowledgeable, and I learned many interesting facts about the temple and aspects of japanese religion. 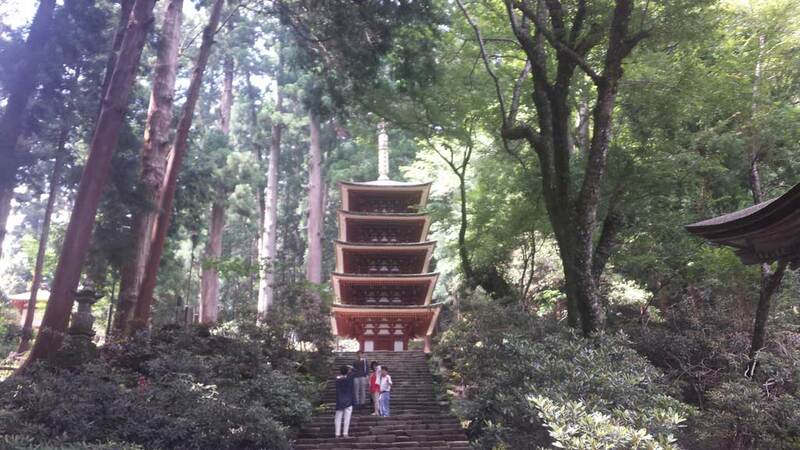 The temple grounds were really beautiful! The trees were tall and green, and the stairs to the top took you through some of the forest. The walk to the top was very hot and tiring, but the view at the top was worth it! I will never forget this beautiful place.